Medical facilities, ranging from small medical offices to large healthcare facilities, are regulated medical waste generators. That means that they are responsible for handling that waste responsibly and in compliance with federal and state regulations. Facilities are responsible for their medical waste from the time it is generated straight through until it is treated and is no longer hazardous to the public or the environment. This “cradle to grave” liability comes with strict rules on creating and keeping records of the medical waste management process. 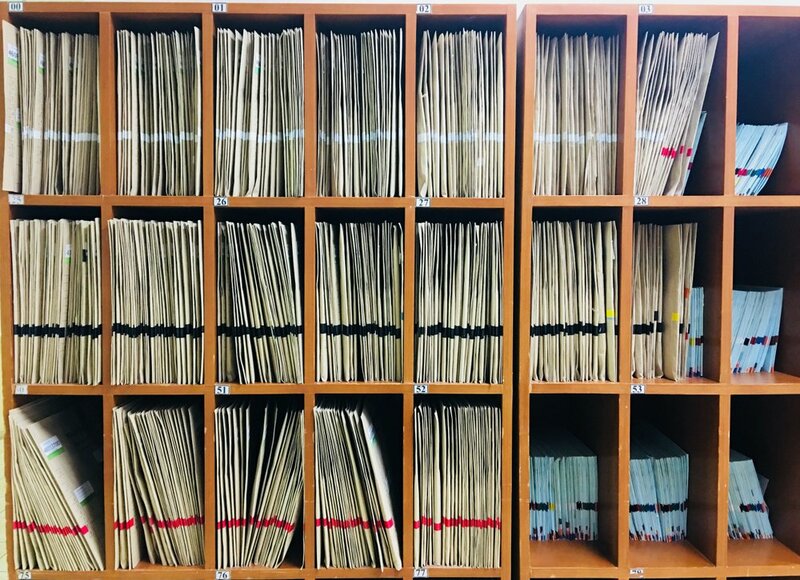 So what do you need to know about record keeping requirements to keep your practice/facility on the right side of those rules? Medical waste manifests are documents that travel with your medical waste from the time it leaves your workplace until it reaches its final destination. Each person who comes in contact with regulated medical waste along the way must sign that manifest and be provided with a copy of it for their records. The purpose of this document is to enable tracking of your waste throughout each step of the medical waste disposal process, including pick-up, transportation, treatment and disposal/destruction. To be in compliance with medical wast management regulations, your facility must have a designated medical waste manifest signer. This is the staff member who will be responsible for signing the manifest presented by your medical waste service provider at pick-up time. Your manifest signer will be given a copy of the manifest for your records, and that copy must be retained by your facility for a minimum of three years. This is a document that must be sent to you once your medical waste has completed its journey, having been transported to a certified treatment facility to be rendered harmless, then destroyed or accepted by a designated disposal facility. This should be sent to you within 45 days of your waste pick-up, and should be retained in your records for at least three years. Employees who come into contact with medical waste or supervise workers who do are mandated by state and federal regulations to complete certain training courses. These may include OSHA, HIPAA, HazCOM and DOT training courses, and you must keep training records and/or certificates on file for each employee throughout their term of employment. Your medical waste service provider may offer compliance training services as well, which can make it much easier for you to ensure that you are in compliance with employee training rules related to medical waste management. Your medical waste management plan must be kept on file and updated as necessary as long as your facility remains a medical waste generator. You must also be prepared to make your written plan available to ADEM upon request. There are also some things that are a good idea to keep for your records, even if it is not required. Perhaps most important of these are copies of permits held by your medical waste disposal service that show they are certified/permitted to transport and/or treat the types of medical waste your facility has hired them to manage. After all, you own that waste until it reaches its final destination, so knowing the qualifications of the company that will get it there is essential to minimizing your facility’s level of risk.